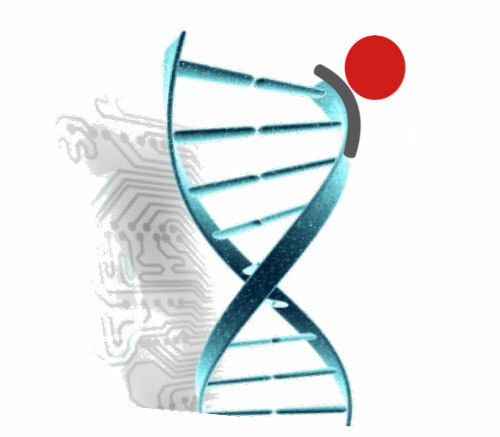 Circulating Cell-free DNA (cfDNA) is now recognized as a potential biomarker enabling personalized medicine for a wide range of pathologies. 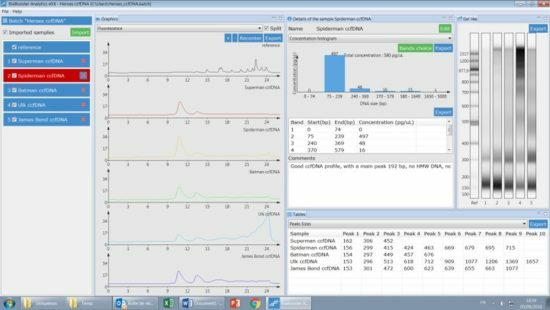 Picometrics BIABooster can easily profile circulating cell-free DNA (cfDNA) with a 100-1000x gain of sensitivity compared to the best electrophoresis technics. For giving a FAST, EASY and AFFORDABLE access to this new technology, Picometrics has launched a new service for DNA analysis, especially for circulating cell-free DNA analysis. Send samples, receive results! 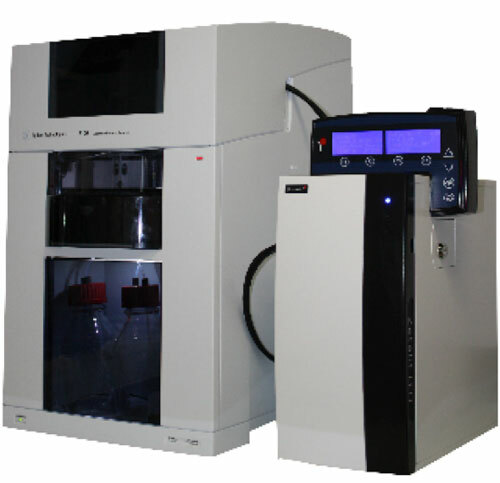 Getting a DNA profile of plasmatic free DNA is almost impossible using existing electrophoresis systems. But it is an easy thing with the BIABooster, an innovative plug-in for capillary electrophoresis. The BIABooster Analytics software converts raw data into meaningful information for the researcher. The sizes of main peaks are given, as well as DNA concentration for any size range between 0.1 and 1.5 kb. Moreover, quantitative indicators are given for the presence of smaller and larger DNA. Customers receive a comprehensive report which includes experimental reference and QC, detailed size and concentration results for each sample, as well as a summary table allowing further treatment in spreadsheet like excel™. Why analyzing circulating cell-free DNA? 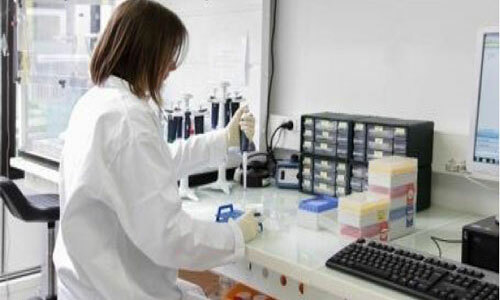 Very numerous studies show an increase of cfDNA concentration related to pathology in cancer, sepsis, inflammation, etc. Numerous studies indicate that adding an integrity index to DNA concentration drastically increases the diagnostic/prognostic value of cfDNA in cancer. Simple process : Send DNA samples to Picometrics, you will receive quantified profiles in return. 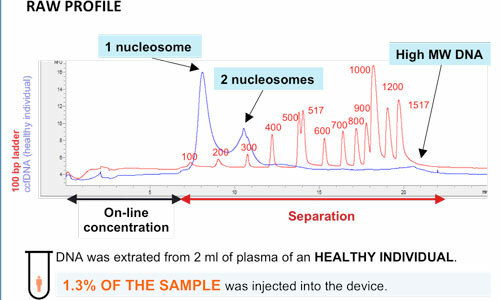 cfDNA samples : 10 μl of purified DNA containing the equivalent of ~ 100 μl of plasma or serum. 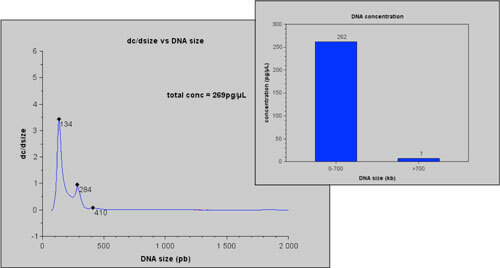 Other DNA samples: 10 µl of purified DNA containing at least 5 ng/ml for a complex sample, or 0.1 ng/ml for a single DNA band, in the 0.1 – 1.5 kb range. For other size ranges, please contact us.